Characters: Supergirl, Randor (death), Lord Bronar (villain), Skoll (villain), Kandor, Zor-E,; Allura, Green Kryptonite. 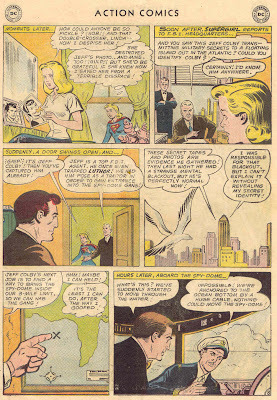 Action Comics #319: "The Super-Cheat!" Characters: Supergirl, Donna Storm (villain), Fred Danvers, Edna Danvers, Comet the Super-Horse (flashback), Shrinking Violet, Lightning Lad (flashback), Cosmic Boy (flashback), Saturn Girl? (flashback) (all as the Legion of Super-Heroes). 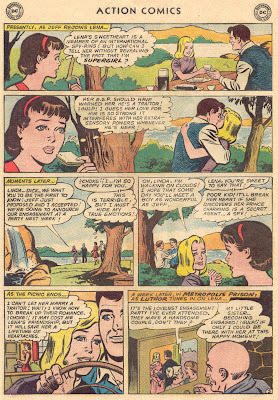 Action Comics #318: "Supergirl Goes to College!" 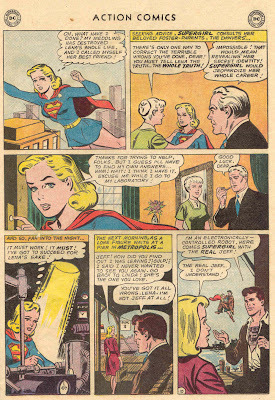 Characters: Supergirl, Donna Storm (villain), Fred Danvers, Edna Danvers, Super-Monkey, Comet the Super-Horse. 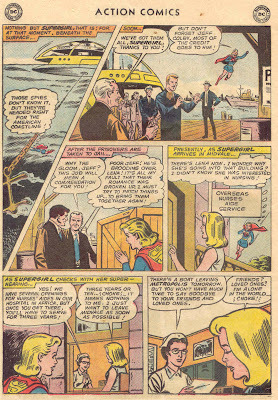 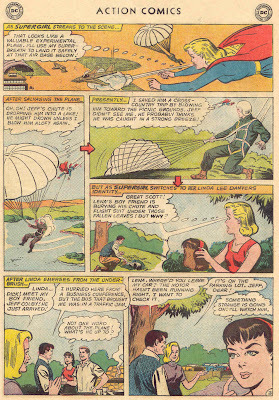 Action Comics #317: "The Great Supergirl Double-Cross!" 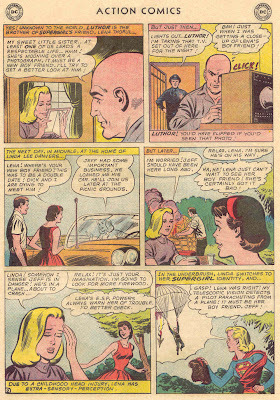 Characters: Supergirl (Kara Zor-El), Lena Thorul, Lex Luthor (villain), Fred Danvers, Edna Danvers, Jeff Colby. 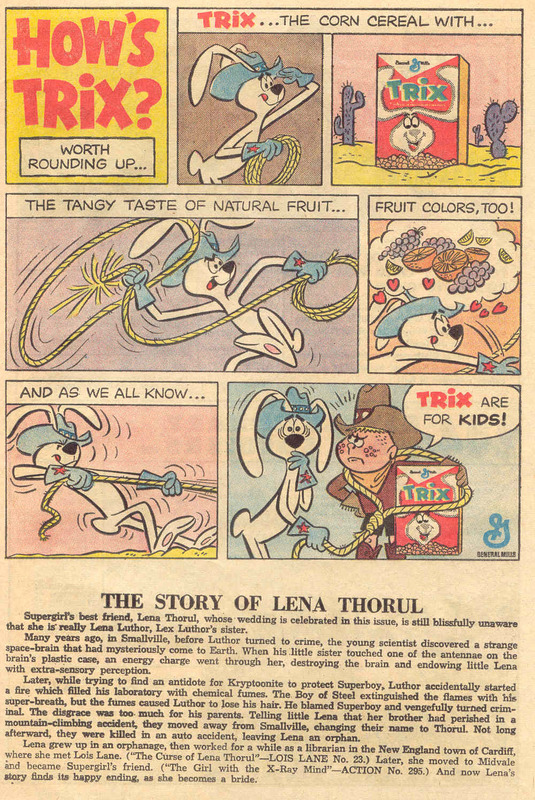 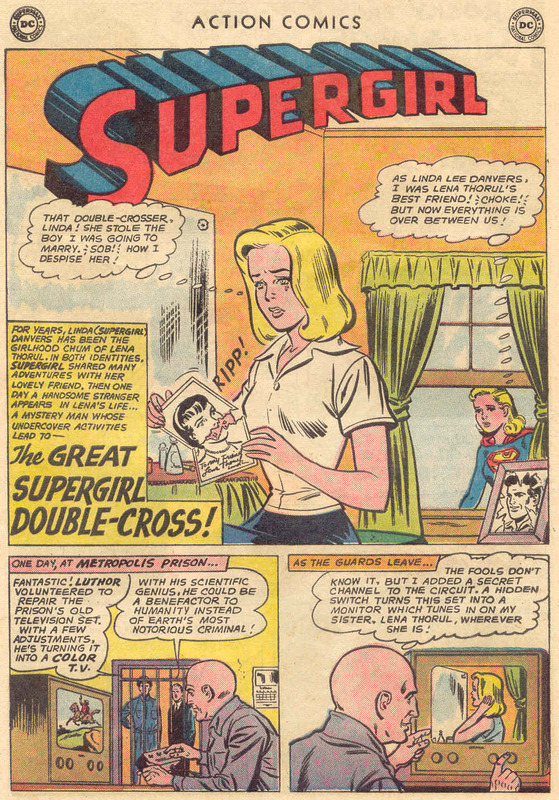 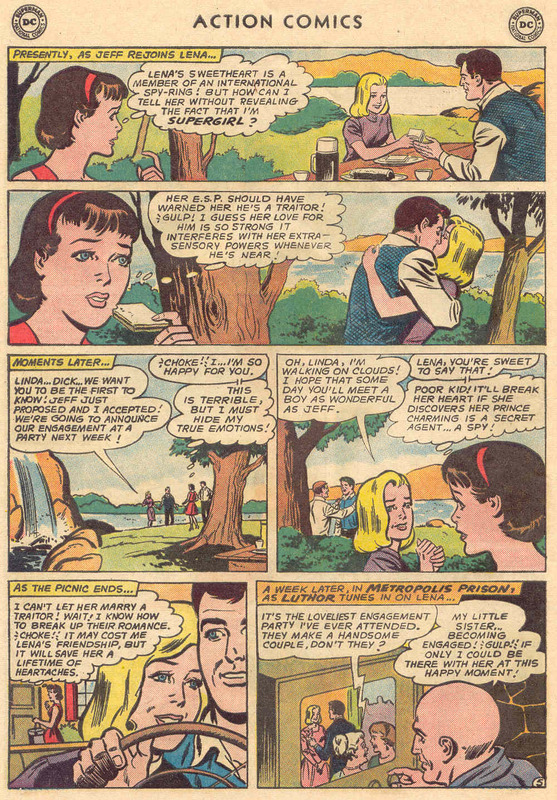 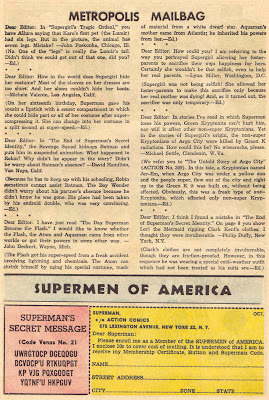 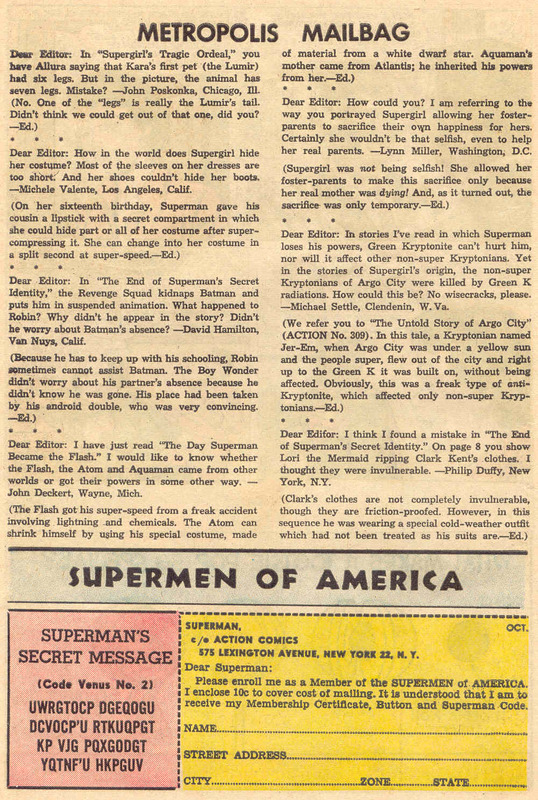 Note: This issue includes a text page on Lena Thorul, Supergirl's friend and Luthor's sister. 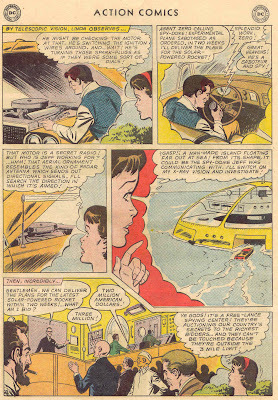 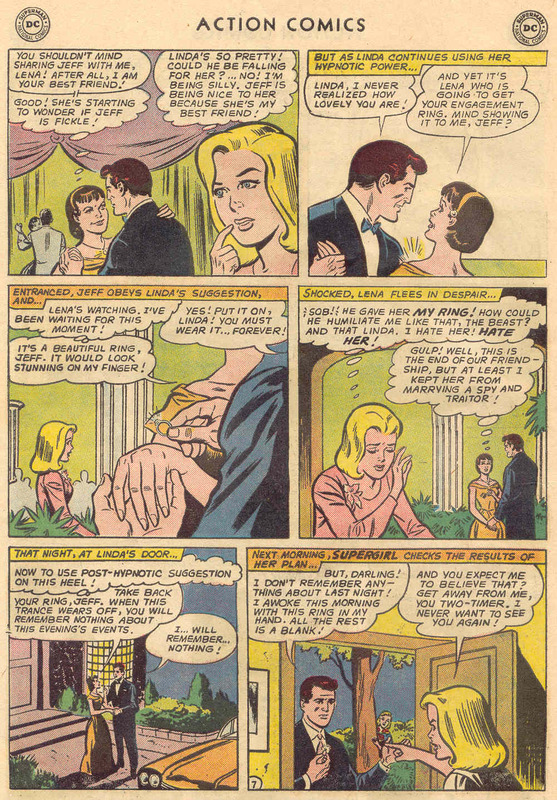 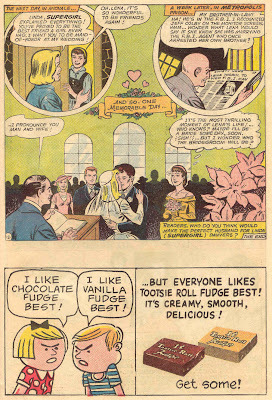 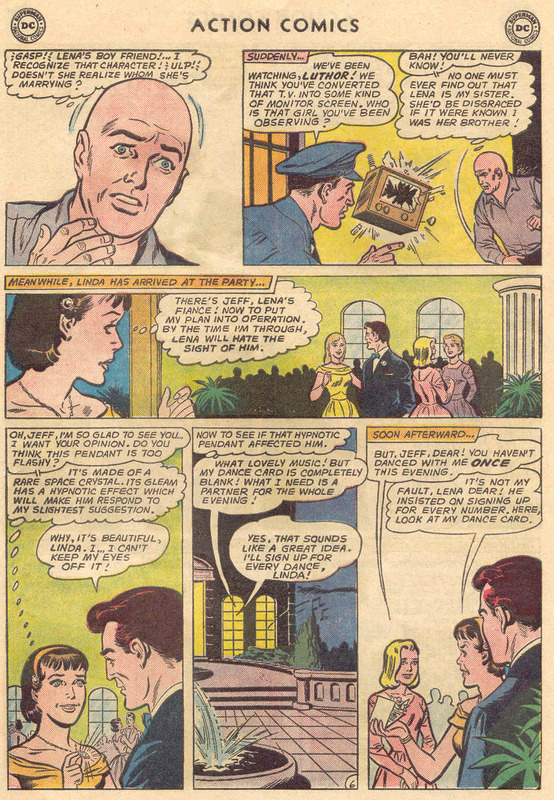 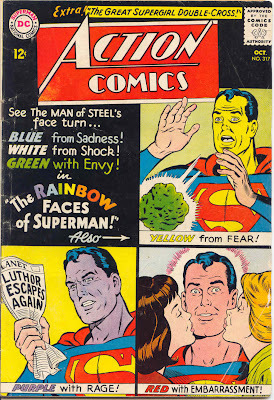 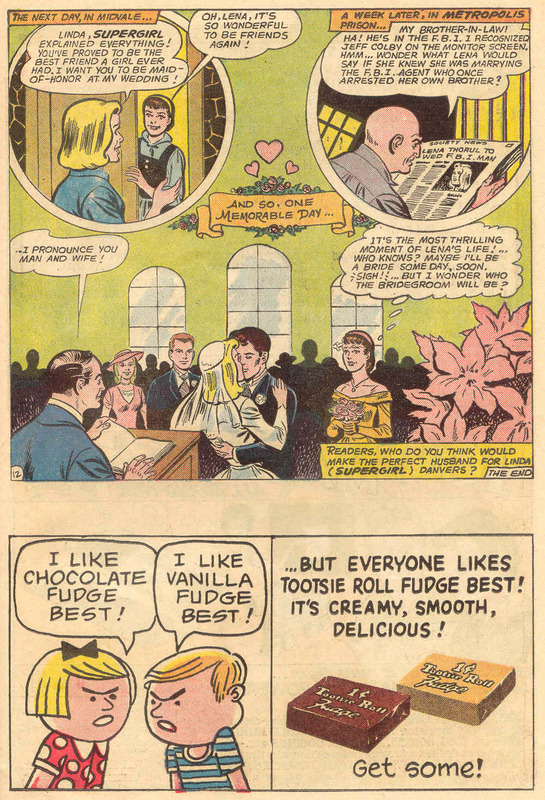 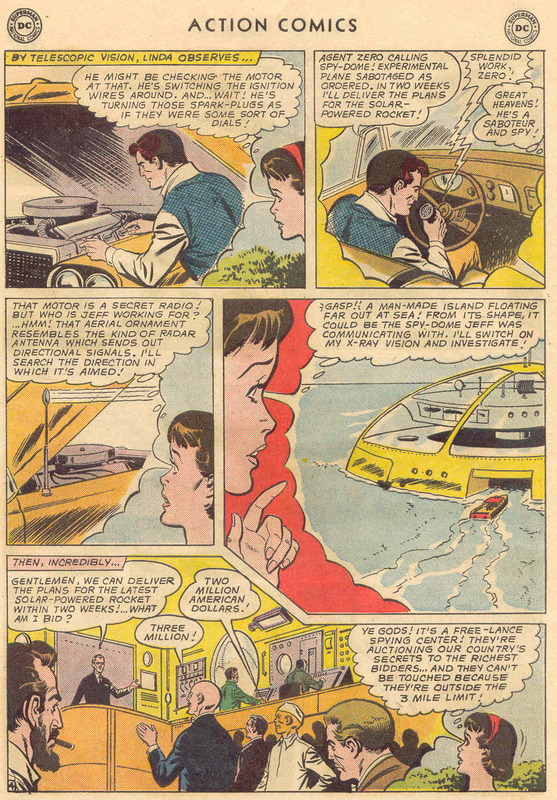 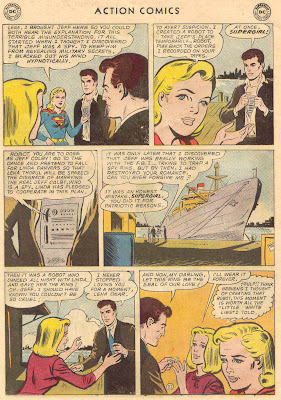 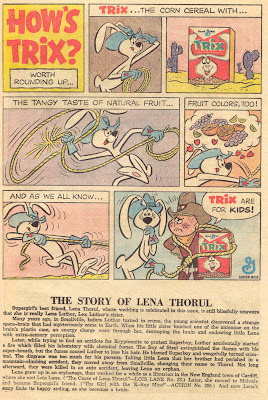 In this story, Lena Thorul weds Jeff Colby, an FBI agent who once arrested Lex Luthor.